Toffees keen to get stuck on Mackay. Cardiff City boss Malky Mackay has emerged as a shock target for the Everton should David Moyes leave the club at the end of the season, the Daily Mail reports. The story comes just 48 hours after the 41-year-old secured the Championship title with the Welsh side, drawing 1-1 with Burnley on Saturday. Moyes saw Everton’s Champions League challenge virtually disappear this weekend as his side slumped to a 1-0 defeat in Sunderland. With Spurs, Arsenal and Chelsea all picking up points ahead of them The Toffees now find themselves six points adrift of that valuable fourth spot with just four games remaining. The Everton boss has left question marks surrounding his future for some time now and after 11 years in charge at Goodison Park he could very well be seeking out a new challenge. 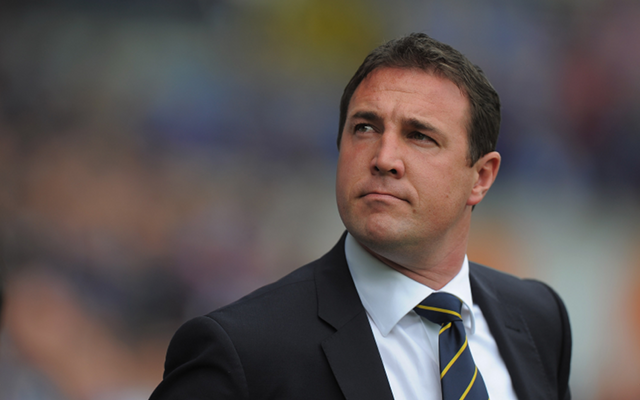 Mackay has been in the hotseat at Cardiff since 2011 and has won promotion for the club at only the second time of asking. He began his managerial career at Watford where he endured a difficult spell that saw him narrowly avoid relegation. Cardiff have been on the precipice of Premier League football for years now and he has succeeded where Dave Jones narrowly failed. He also led the club to a League Cup final last season where they missed out on a trophy to Liverpool. There’s no doubt that Mackay has all the makings of an excellent young manager, but the time to judge him will surely be at the end of next season. The Championship is an incredibly tough league and he has done very well to get out of it, but the Premier League is an entirely different entity.